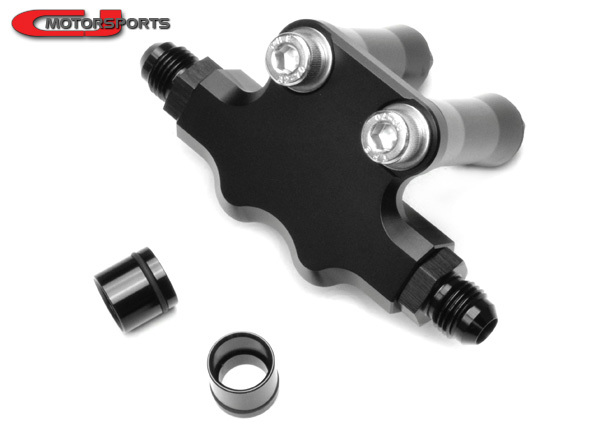 Convert to modern top-feed fuel injectors with our billet aluminum primary rail for the FD RX7 (13B-REW). The rail is machined from 6061-T6 and accepts -6 o-ring fittings on either end. Stainless mounting screws and aluminum stands are included with each rail. Include the optional -6 o-ring fittings (with Viton o-rings) and the lower injector bung adapters to complete the primary rail package. 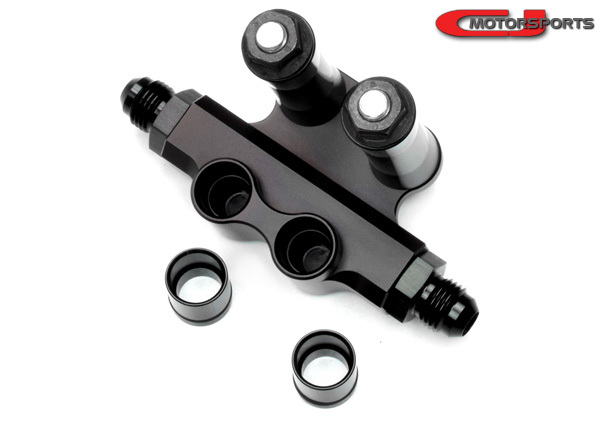 This fuel rail is intended for fuel injectors with 48mm body length and 14mm outside diameter o-rings. 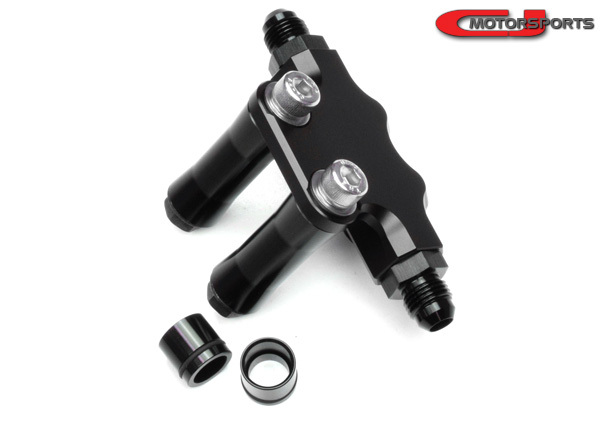 Compatibility and Fitment Information: This rail was designed for use with 48mm EV14 based injectors and 14mm o-rings. This is one of the most common and typical injector specifications currently available. Please contact us if you need help selecting injectors. This rail is NOT compatible with the original fuel injectors. These rails are NOT compatible with the factory fuel lines. 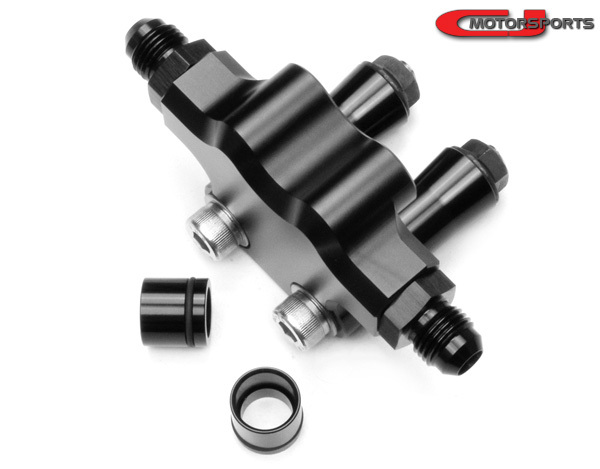 The original fuel injector bungs are too large for aftermarket fuel injectors. These bung adapters reduce the diameter of the bottom injector port to a suitable diameter for 14mm o-ring injectors. Our fuel rail height is set assuming these adapters are used. 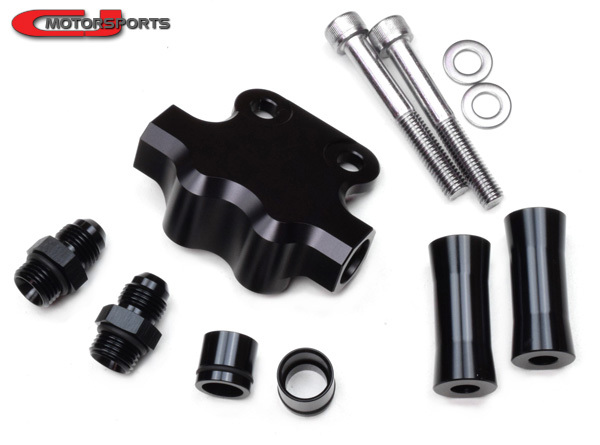 Include a set of our high quality black aluminum 6AN o-ring port adapters for connecting your custom -6 fuel lines. Viton o-rings are supplied with the fittings.